Description: This is a nice pre-war machine with the scroll faceplate. The paint has a few nicks and scratches and the shellac is worn in some areas on the bed. The decals have some wear in spots. Case is very good with the lift-out tray. The leather is coming off the handle as is common with this case type. Includes the bobbin case, 5 bobbins, and foot controller. 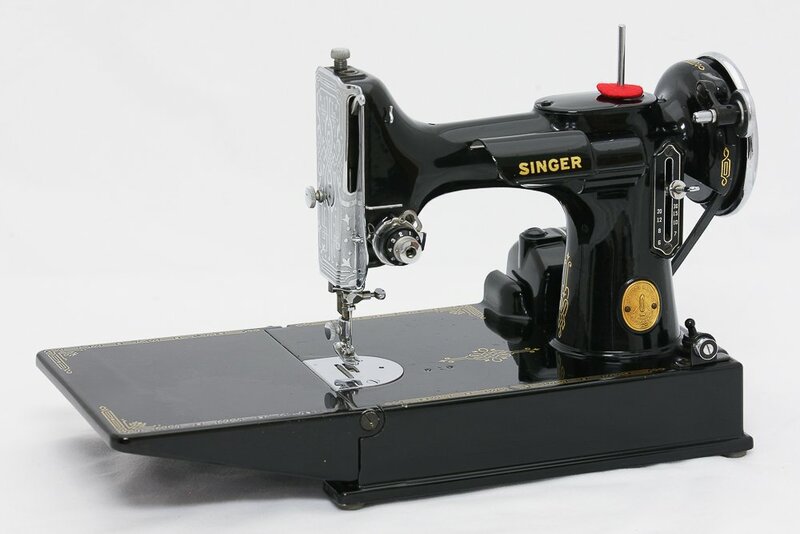 This is still a nice, lower-cost Featherweight that has been serviced and is ready to sew.